Hawke’s Bay is a fantastic place to live, work, ride and play! 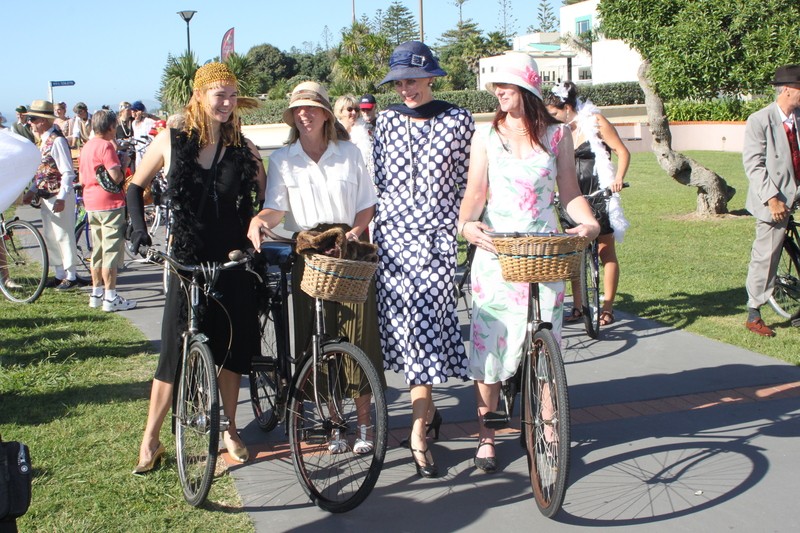 The Hawkes Bay “Frockers: Group started in 2010, we are affectionately known as the “Deco Bike Belles”. 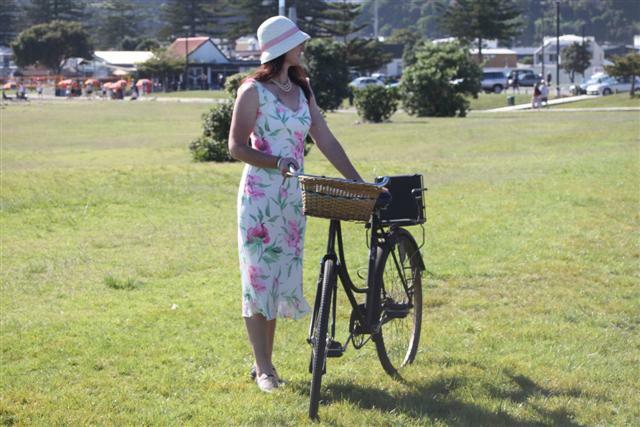 This is because of our unique Deco history and influence in the style of Hawke’s Bay – cycling included. Its a great way to encourage the restoration of old bikes, celebrate our history and create a diversity of bike culture. 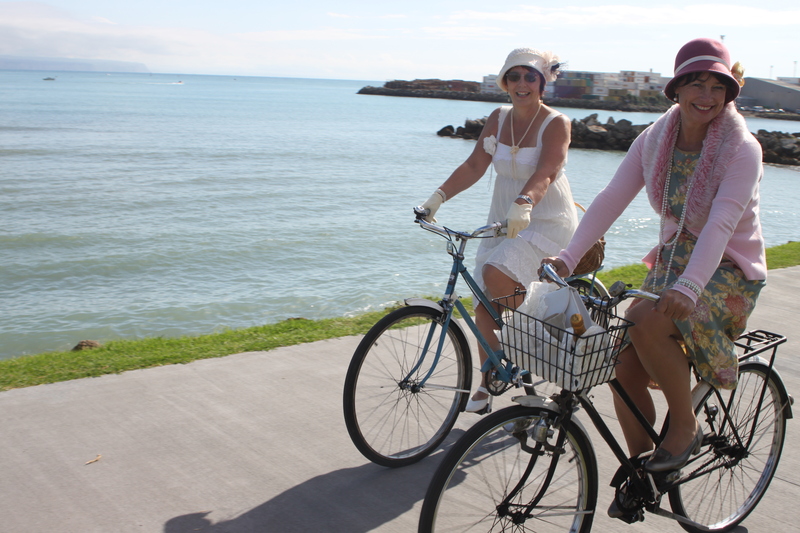 Our most popular event is the “Deco Bicyle Belles Ride” , part of the annual Art Deco Weekend in Napier in Feb each year. 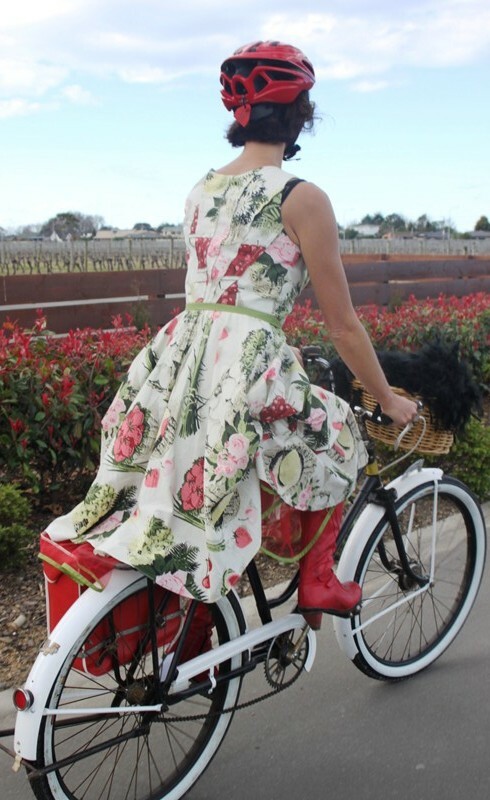 At the end of the day is all about woman and cycling regardless of your dress, age or bike style – we encourage anyone and everyone – in a frock that is! Sometimes we do family rides and welcome all. The more the merrier 🙂 Check out some of our stylish chics from previous events. so sorry i missed this amazing event, due to work commitments i could not be there maybe next year i hope.See you on the 10th in Havelock North. I will be starting from the info centre if anybody would like to come join me, that would be great. I was up your way at Easter- shame on me for not getting in touch! Looking foward to Froctober – have a great idea lined up – watch this space Hawke’s Bay! Meeting shortly to see what we are doing but very keen to do something here in HB. Looking forward to it! Would love all further updates for the Hawkes Bay region. Do you just rock up on the day of the event or do you need to register? Come by bike, foot, pony or paddle and bring a picnic. Bring your friends and family for a fun ride, yummy food and time to chat about how we can move toward a sustainable low carbon future. “The Hastings cycleways initiative are a great step forward towards a sustainable future. Now it’s up to people to reduce their CO2 consumption by using the cycleways and getting active. The flooding in Pakistan, rising oceans around Kiribati, and local extreme weather events will only get worse if we don’t take action to reduce our carbon footprint. Returning to CO2 levels of 350 is the goal. Every thing you do, every day, makes a difference” says Angela Hair, BayWatch HB spokesperson. Hi, Im looking for somewhere that would be able to restore my fathers old bike from the 1930’s, could someone please send me in the right direction? Preferably somewhere in either the Nelson region, or Hamilton/Auckland. Thanks!